On the high seas, when I can, I pick up the ABC (Australian Broadcasting Commission) on medium wave. Their transmitters are powerful and their range good. Thus, I learn that the renown international Economic Magazine named Melbourne as the worlds most loveable (oops liveable) city. Perth, my city, is only 7th on the liveable scale. How can this be? The Perth metropolitan area (includes Fremantle) has miles and miles and miles of white sandy beaches. Melbourne has nothing like it, plus their river runs upside down. 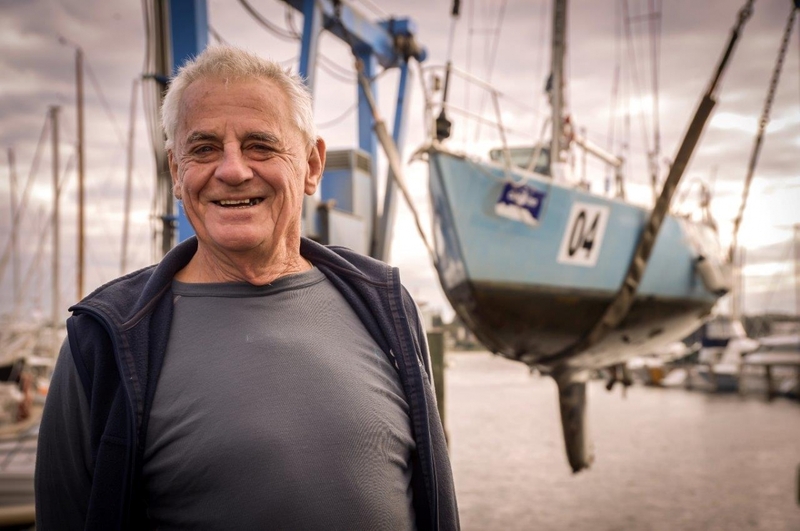 Ross Winzer, a person who played a leading role in Western Australian (WA) community activities, including yachting, retired with his wife Lyn to the North West town of Exmouth (WA Exmouth Gulf). Ross and Lyn did a caravan circle of Australia (Grey Nomads). In the Queensland town/port of Gladstone, they spotted a 40ft Salah design motor-sailor named Irish Rover, they subsequently bought it and then invited me to help sail it to Exmouth (not fussy). We had a good run over the top of Australia via Darwin. Motor-sailor, i.e. kept the 80hp engine warm most of the way. Exmouth in summer is bloody hot! One year, over a three month period, the town saw only two days below 40 degrees Celcius – more than 100 degrees Fahrenheit. Exmouth is excellent in winter. Its latitude is 22 degrees south (too hot in summer). Ross and Lyn moved to the island state of Tasmania. That’s below 41 degrees south latitude. They ended up with a house overlooking the magnificent wide-expanse of the Tamar River at Beauty Point. Beauty Point is 7NM upriver from the mouth. A further 28 miles onwards up the Tamar River is Launceston (Tasmania’s second largest city). Hobart is the state capital (in the south of the island, Launceston is north). 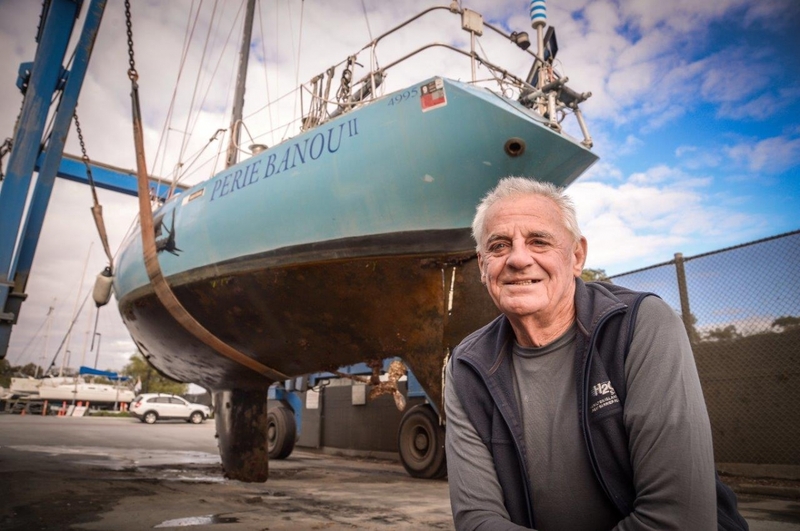 Now, on Perie Banou 2, sailing on the Bass Strait, I received a message from Ross and Lyn (also other sources), “your welcome on the Tamar”. As it happened, over the HF Radio, the weather report from BOM (Australian Government Bureau of Meteorology) relayed that a trough was coming across the Bight from the west. A low should develop near the South Australian/ Victoria border. Hmmm, the mouth of the Tamar River only 194 NM south-west in distant. Sent a message. “Jonny’s coming to Tasmania” (I didn’t want to get splashed, let alone rained on). I changed course. 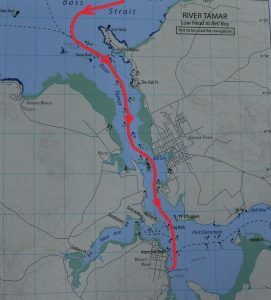 The mouth of the Tamar River was quickly found because the B&G told me exactly where it was. Kept red port markers on my left and green on my right. The B&G with the Navionics digital chart is always a check reference. The Tamar, like all of Tasmania, is beautiful. Wide at the mouth, much wider at Beauty Point, and narrow in Launceston – the locals call the source. The Esk River continues on. The natural channels are plenty deep all the way. Plenty of sandbanks too – they tend to dry out. Very tidal. Expect to go 2 1/2 Kts to 3 Kts slower against the tide. I don’t care if I go against the tide (as long as I am making progress), as I am fitted with a good Yanmah engine. Hehe. Others pick the tide. Organised by Ross and Lyn, I was met by a “follow me” Rib, that showed me into the Marina. I didn’t get lost in that marina! Ross helped me tie up. At the Marina was Mitch Ranson, Commodore of the Tamar Yacht Club, and the Beauty Point Clubhouse manager. They gave me a key to the grounds, marina and clubhouse – for the showers. Commodore Mitch organised for me to give a talk to the usual gathering the next Friday at the Beauty Point Clubhouse. Tamar Yacht Cub has two Clubhouses. The headquarters in Launceston located in a traditional building of the time (1950s based on earlier architecture) overlooking the river. There are hard standing and limited birthing. The River is narrow. Beauty Point clubhouse is typical country anywhere in Australia. Neat, clean, spacious, simple. Right structure in the right place. Big Marina. Plenty car parking. 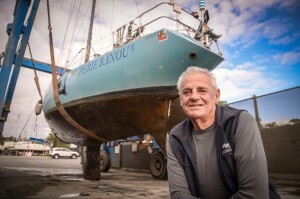 The age of the Tamar Yacht Club is interesting. An article in the Launceston Newspaper at the time wrote about a regatta held on the Tamar River with the intention of starting a yacht club. The year was 1837; but nothing more mentioned for 20 years or more, until the next known regatta. The honour board of all Commodores begins 1879, and the plaque on the clubhouse building reads Tamar Yacht Club 1879. But other stuff reads, ‘Tamar Yacht Club 1879 sailing since 1837’. If it was a yacht club in 1837, it would probably be the oldest yacht club in the Southern Hemisphere. There is a similarity between Launceston and Fremantle. Back home in the major port of Fremantle in Western Australia, the people and the ‘Freo’ City Council work hard to keep buildings and their facades in keeping with its history. Indirectly I am a Fremantle Boy. Born-and-bred and schooled in the Perth suburbs Nedlands and Claremont, but from the age of 13 my activities were almost all Fremantle: viz Naval Reserve Cadets (Sea Cadets). I was first employed at the age of 16 in the merchandise stores of Elder Smith and Co. in Fremantle, and then on the Wool Technical Staff at Elders Fremantle. 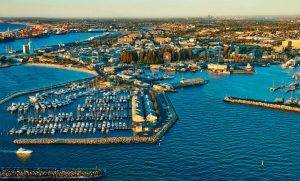 My teenage years and friends throughout my 20s were all Fremantle region. My yachts sailed thru Fremantle, and my major sailing events started and finished in Fremantle. Back to Launceston. Like Fremantle, they have kept the city with the integrity of the 1950s and very much earlier. No Gold Coast high rise in Launceston. Heaven forbid! Six days I was tied to the Marina at Beauty Point. Ross and Lyn would pick me up daily. We went to country-style restaurants. Bought country-style fruitcakes (I might have OD on fruit cake), went to supermarkets and bought four jerry’s (BJ calls jugs) of diesel. But especially we clocked up near 900 kilometres (dunno what that is in miles) travelling the local countryside in the Land Rover Discovery, bought to tug the Winzer’s caravan. Mountains, forests, historic towns (like Campbell Town), farms, fields and meadows. Australians call paddocks. Why do they call them paddocks? Because that is what they are! The rest of the world, know not better. Back to the ocean. My weather AP, put into my I phone (it’s a 6) by Seashells Hospitality Group guru Paul King, is showing clearer weather. The synoptic maps suggest a summer pattern (the lows more to the south). Time to go and make the transit across the Great Australian Bight. My 46th crossing. Read on. (Not now, I haven’t written it). Thanks everyone for reading this junk. G’day Jon, sounds like you are still having fun on your journey home !! Freo boy, are you East Fremantle or South Fremantle or heaven forbid you don’t like footy? Very enjoyable “junk”! Haha… wait till you get back home… there’s an oil rig (gas actually) out between Freo ‘n Rotto! Jon. Always a good read. Witty and inspiring. I look forward to meeting you when you are back at RPYC. … assuming you arent swamped by the papparazi here. Safe sailing ! Have a good trip.Keep sailing fantastic you are. Jon, love reading your so called junk, always have.! 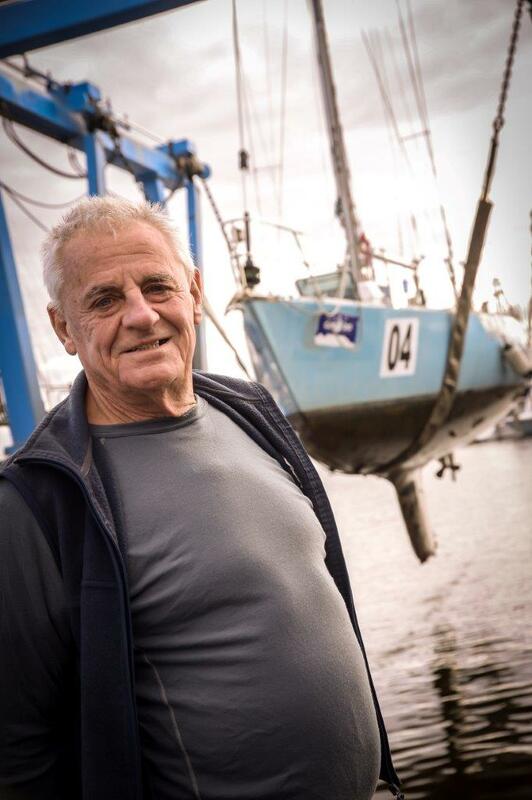 wish you fair winds for the completion of your latest circumnavigation.